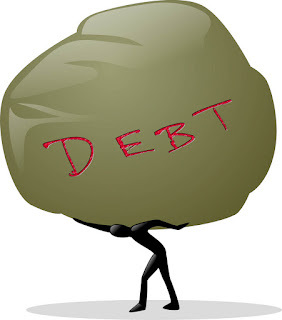 Debt is a problem that most people will face at least once in their lives. Modern society has made it easy to find yourself sliding into dangerous levels of debt without realising just how serious the situation may be. Here are 4 of the main reasons why people get into too much debt. It’s hard to adequately gauge your financial situation without a clear budget. Many people find themselves in debt simply because they didn’t realise how much they could and couldn’t afford. Before you consider lending any more money or applying for credit, you should take the time to re-evaluate your budget and ensure that you aren’t getting yourself into an insurmountable amount of debt. When you are looking to get a loan or credit card, you generally have a clear idea of exactly how much you want to borrow. Sticking to this figure can be hard when the lender offers you far more, and the temptation to accept the higher limit is often difficult to resist. This is a common reason for people getting caught much deeper into debt than they had expected. Be firm and stick to your limits, and never borrow more than you know you can safely repay. One of the most common reasons that people find themselves facing too much debt is when they have made a large purchase which has been driven by emotion. Whether it’s splurging on a holiday, buying a new car or other major indulgence, these large purchases can often leave you in far more debt than you can comfortably handle. With the accessibility of loans and credit cards, it’s easy to start living a lifestyle which exceeds your financial capabilities. Basing your expenses on what you can borrow rather than what you can afford is a sure way to find yourself struggling with debt before too long. It may be very tempting to upgrade when your bank offers you a higher limit on your credit card, however you should ask yourself if you really need it. Higher limits and larger loans lead to a potentially disastrous situation that will see you unable to meet all of your repayments. If you feel like you may already be in this situation, or simply want some quality financial advice, consider consulting a professional debt solutions specialist such as Fox Symes. They can assist with everything from debt consolidation to budgeting advice, and can be an invaluable asset in your fight against debt. It’s important to remember that it’s easy to get into debt, however getting free of it can be incredibly difficult. By keeping the above situations in mind, you should be able to reduce your level of debt when you’re looking to borrow or get a new credit card. For more information and advice on controlling your debt, don’t forget to speak to the specialists at Fox Symes, Australia’s leading debt solutions specialists. About the Author: Gavin is a finance enthusiast from Australia who regularly blogs about personal finance tips and strategies. Well it is obvious that young people know very little about budgeting and proper money management. The reason why I say this is because I see numbers which don’t lie. Youth is too irresponsible whenever it comes to them spending money. You know, I’ve noticed that they are not too concerned about tomorrow. They are even carelessly treating their student loans that is so bad. What can we possibly expect from them then? The future becomes too blurred. And yes, the answer to your quiz the majority is getting into deb deeper and deeper. Thanx so much for the tips!